So as many of you may have realised or had the honour of being there live; we had our Contest Kick-Off in Neulengbach. It was crazy hot, but therefore the heat seemed to motivate the riders to bring out their craziest tricks. A hot day in Neulengbach, with motivated riders. 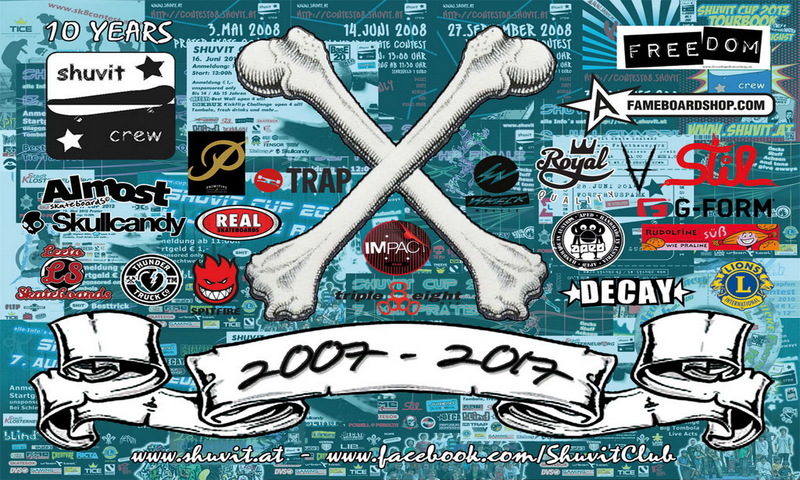 What more can Shuvit Crew want? We already posted our pics from Christian. Now we are gonna post the video. Pull up you’r skate socks, and hold on for this one…. Along with the pics from Christian, our good friend and bro Mike Brunner made a little video that shows all you need to know about what went down in Neulengbach… Thanks Mike!